readySC representatives traveled to Dusseldorf, Germany to tour the Mercedes-Benz production facility and assess the company’s training needs. The decision to build a new, full van manufacturing facility in South Carolina represents the culmination of a decade of success for Mercedes-Benz in our state. Since 2006, the company has assembled Sprinter vans in its North Charleston plant. Now faced with the expanded training requirements of a full manufacturing facility, Mercedes-Benz Vans (MBV) turned to readySC™ for assistance. To begin assessing the extent of the company’s training and recruitment needs, a readySC Discovery team traveled to Daimler’s Mercedes-Benz plant in Düsseldorf, Germany in December 2015. Comprised of SC Technical College System and readySC leaders, curriculum developers, instructors and project managers, the team met with Daimler training and human resources managers to observe and collect data on the plant. Some 6,000+ workers at Daimler’s Mercedes-Benz plant in Düsseldorf produce approximately 160,000 vehicles per year with the help of hundreds of industrial robots. Daimler representatives took the team on a process tour of the facility, including paint, body, assembly and finish shops. The team observed a variety of processes, assembly techniques and flow paths. They also met with key subject matter experts (SMEs) from the facility to discuss their jobs and related tasks. Technical apprentices offered demonstrations for the various workstations and presented the major product from each production line. During the tour, three skill levels ranging from entry-level to highly-skilled were identified. 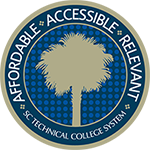 The type and length of training necessary for each skill level will be determined during the Design phase of readySC training development. Any unique tooling observed during the tour will also be considered when developing any subsequent, hands-on training sessions. As part of discussions on company culture, Daimler revealed a few of the qualities that the company values in an employee: tidiness, cleanliness, staying calm under pressure and working well with others. In addition, the team learned about Daimler’s four-step pre-hire assessment process that all potential shop floor employees must go through. Important takeaways from the trip included training materials, pre-hire assessments, process and tooling information. Safety issues were identified, including lifting requirements, overhead welding, working with arms raised at or above shoulder height, repetitive movement cautions and working in backward motion. Since safety is important to the process, safety awareness will be integrated into any training program and emphasized as a goal for everyone. 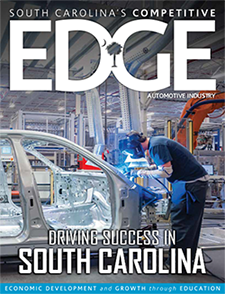 With the official announcement of its new South Carolina facility in 2015, Mercedes-Benz revealed that it will expand its current assembly operation in North Charleston to full van manufacturing. The plant will be the first Mercedes van factory in North America and will supply the North American market with the next-generation Sprinter van. Mercedes-Benz Vans, a division of Daimler, plans to invest $500 million in the new manufacturing plant and create 1,300 jobs over the next several years. The Mercedes-Benz Sprinter is the world’s leading large van, and more than 2.8 million Sprinters have been delivered to customers in 130 countries worldwide. In 2014, the company delivered approximately 26,000 Sprinters to U.S. customers, making the United States the company’s second-largest sales market behind Germany. The Sprinter has been available in the U.S. since 2001 and today holds approximately 9 percent of the country’s large van market. The company has operated its current van assembly operation in Charleston County since 2006.